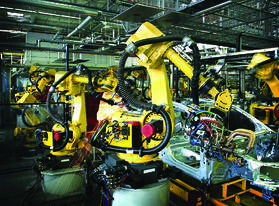 Long, summer holiday weekends are often the preferred choice for industrial plants managing a shutdown. Historically, the automotive industry tends to favor 4th of July weekend. This is not the sort of unplanned downtime that negatively affects productivity, adds unexpected materials & labor costs, and delivers a blow to revenue. This is a planned outage – the kind that’s good for business – because it leads to desired benefits like increased productivity, energy efficiencies, and expense management. These are the first steps. Use this time well in advance to determine the scope of work and advance activities required. Discuss with your team the logistics involved and any human resources that will be needed (internally and/or externally) to make it all happen. Draft a schedule. Not to be forgotten, identify a decision-maker that will serve as the gatekeeper for any new issues that develop along the way – this person will protect the project from ‘scope creep’ and will manage the budget. Most importantly, if you’re plant has been down the shutdown road before, review the lessons learned from prior outages. Time flies. Spend this period wisely by determining the order in which the work should be completed. Who will do what? Plan out the nitty-gritty detail associated with the work, list all the players involved in each layer of work, and lay out the logic associated with manipulating each piece of equipment. Begin sharing with all facility employees the expected timeframe and the anticipated effect it will have on their routines as well as the physical building. This may be the quick step in the process, depending on how quickly you can finalize your needs and source them. This is the time to acquire all the supplies & materials you’ll need and bid out any work that may require outside contractors. When finalizing agreements with contractors, avoid generalities and take the time to spell out every detail to make sure you receive the thorough and complete support you expect. The job is not done until you test, monitor, and ensure that all issues have been resolved. Take the time to inspect and note any lessons learned for next time. Then, it’s back to business and the cycle begins again. Lockout to render the equipment inanimate. Tagout by implementing signage that clearly communicates the danger. Test to ensure the equipment cannot be reactivated. Resume operations only when authorization is documented and removal of locks/tags by the supervisor is complete. 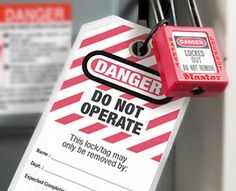 Learn more by visiting the Occupational Safety & Health Administration's (OSHA's) website page about Control of Hazardous Energy (Lockout/Tagout). For large shutdowns or turnarounds that require external resources, consider special firms that provide support services for industrial clients. These firms add value by providing the management and staffing expertise needed to safely and successfully execute time-critical events. Such businesses can aid in the planning and also offer traveling, skilled craftsmen that are dedicated year-round, and available across the country, to perform work for turnarounds, shutdowns, outages, and other industrial facility needs. By optimizing, coordinating movements, and managing subcontractor activities, the external firm may be able to reduce the length of the shutdown and get the plant back to business faster. Super-Trex® Ultra-Gard™ Cable – A highly flexible portable cord with excellent resistance to impact, cutting, abrasion, oils and most industrial chemicals. Rated for Extra Hard Usage, this cable also features tinned Extra-Flex™ stranded copper conductors and Live-Flex™ insulation with no-wick reinforced fillers and 100% fabric serve. Security yellow TSE jacket allows for extreme all-weather flexibility. Super-Trex® Yellow Triple-Gard™ – A highly flexible, Extra Hard Usage portable cord with excellent resistance to impact, cutting , abrasion, oils and most industrial chemicals. Features include an integral fill and dual-layered, fiber-reinforced jacket for added strength against twisting and pulling. This product is ideal for applications where cable tension is a concern. Security yellow TSE jacket allows for extreme all-weather flexibility. Super-Trex® Welding Cable – This cable is designed for rugged use and features our Extra-Flex™ rope lay copper conductor, 100% fabric serve, and a jacket with a 25% thicker wall compared to ordinary cable. The result is a flexible weld and power cable that withstands tearing, abrasion, impact and chunking, extending the life of the cable in harsh applications. 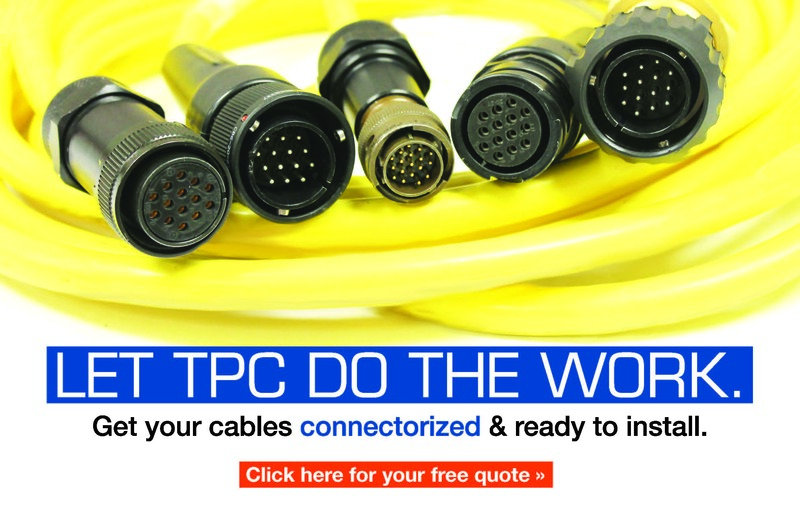 This cable is ideal for use in welding or power applications. Vulko-Wrap™ – TPC's most popular accessory. Always in high demand, this self-vulcanizing insulated tape is made of a specially compounded, synthetic silicone elastomer. It is resistant to oil, water, ozone, and many chemicals. It has a high dielectric strength and can be used on all electrical connections. It sticks to itself without sticky residue and fully bonds in 24 hours - yet remains pliable in the application! It remains effective in temperatures ranging from -60°F to +400°F. Vulko-Wrap is available in 40 or 50 mil thickness as well as a reinforced option. Available colors are yellow and black. Save on time and labor by ordering a plug-and-play solution that arrives ready to install right out of the box. Successful, seasonal shutdowns and planned outages are key to achieving your future productivity goals. Time spent planning and coordinating the effort is well spent because it supports your chances of achieving the desired result and doing so efficiently. Having procedures in place will also keep the environment safe and the outcome reliable. As with all projects great or small, solid preparation and communication is the key to success and will position you to accomplish the work in the designated timeframe, minimize safety risks, and maintain the approved budget for doing the work. What do you need for your upcoming shutdown? Give us a call at 800-211-4520 or leave a comment below.